Looking For Custom and Authentic Elvis Hair and Wigs? Tribute artists from around the world trust 3rd Dimension to design custom and authentic Elvis hair offering a true-to-life look and tailored to your performance personality. Let our team of artists design a wig that will take your performance to the next level. Elvis Presley is a legendary popular music figure with an enduring legacy. Legions of fans and numerous professional impersonators enjoy dressing up in the unique garb that represents “The King’s” signature style. If you are looking to make your Elvis look complete, you need a top-quality Elvis wig. At 3rd Dimension studios, we are a reputed provider of hair designs of all styles, including specialized Elvis tribute wigs. We can provide you Elvis hair to help you emulate every era of the King’s career. Whether you want to portray the 1950s truck driver turned music sensation, the 1960s singing movie star, or the 1970s spangle-jump suited icon who wooed huge crowds, 3rd Dimension studios can create the right Elvis wig for you. At 3rd Dimension Studios, our expert team of hair artists can custom-create a wig to give you that unmistakable Elvis appearance. 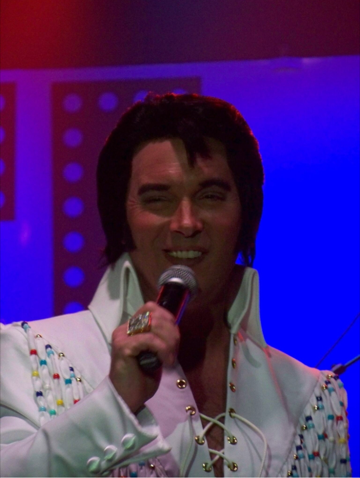 Our Elvis tribute hair has earned praise from Bill Cherry and other notable Elvis tribute artists. 3rd Dimension Studio’s tribute artist specialist, Diana, delivers the best Elvis wigs in the business. She works closely with you and gets you the style you want. They work very hard to make sure it fits your liking. I highly recommend this company. 3rd Dimension Studio’s Elvis specialist, Diana, is one of the most helpful in the Elvis accessory industry. The professionalism, kindness, speed of service, and above all, the quality of their wigs is unparalleled. I have ordered two wigs from their competitor and the last one was from 3rd Dimension. It’s quality is far superior to anything I have ever seen. With Diana’s customer services, coupled with the quality of their product… I personally guarantee you will not be disappointed! Wow… what can I say! In all the years that I have been an Elvis Tribute Artist I have never had a wig as good as the one I have just taken delivery of from Diana of 3rd Dimension Hair Studios in Canada. I’ve known Diana from 3rd Dimension for a number of years now & the professionalism in her dealings with Elvis tribute wigs is fantastic. Her experience is first class & she knows just how to deliver a fantastic product. Two things that stood out for me, is the quality of the real hair and the fit. I can honestly say that no other wig has fitted me better than this one. Being an Elvis tribute artist, one of the most important things to get right, is the hair and look. Diana knows this and works closely with her clients to make sure that everything is as close to perfection as possible. In addition to my new wig, 3rd Dimension also ‘refurbished’ one of my older wigs. I was absolutely astonished with the work that Diana & 3rd D, managed to do… when I received it, it looked like a brand new wig and I can’t tell you how delighted I was. All in all… If you want a quality wig for your tribute act, then don’t look any further than 3rd Dimension. Quality & Professionalism which will not disappoint! We also can supply you with tribute hair design to help you emulate other popular entertainment figures, such as Johnny Cash, or theatrical costume wigs to portray classic characters, including King Lear. 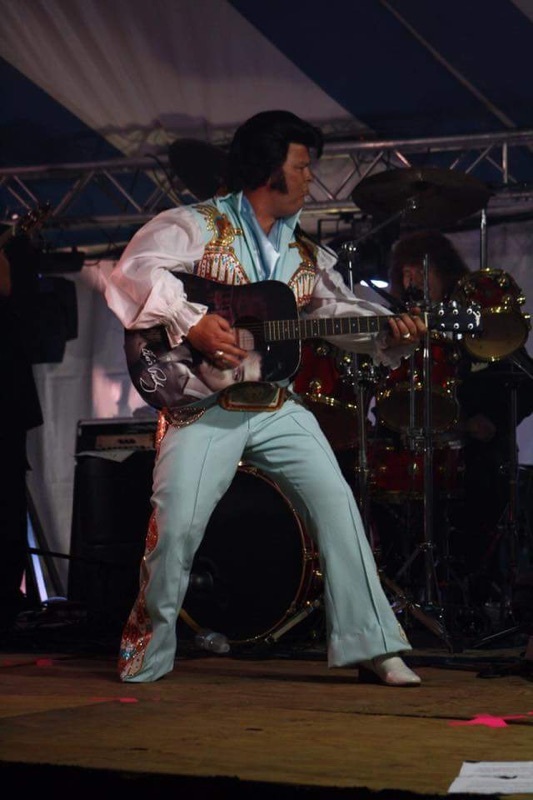 3rd Dimension Studios can consult to Elvis tribute artists all over the globe to design authentic-look Elvis hair to suit their unique performance personality. All of our wigs feature virgin hair, which provides a true-to-life look, but requires special care. Our specialists can advise you on the right treatments, such as shampoos and moisturizing conditioners, to keep your Elvis hair in peak condition for long-term use. If you would like to speak to one of our professional hair consultants to design your own Elvis tribute wig, contact us today. We are available to Elvis fans and tribute artists all over the world.